Back in 1994, sensing that sport utility vehicles were going to be popular, Subaru wisely took a Legacy wagon, jacked up the suspension, added body cladding and with a few more changes, created the Outback. Over the years, it’s become an alternative to big, clumsy SUVs and helped put Subaru on the North-American map. The Japanese automaker tried its luck again with the Outback Sport, based on the compact Impreza, with modest results. But then, Subaru retaliated with the XV Crosstrek—renamed the Crosstrek for 2016—and sales picked up. Both the Outback and the Crosstrek outsell their Legacy and Impreza counterparts by a considerable margin, and as car sales in general are sagging in favour of SUVs and crossover vehicles, Subaru’s product planners now look like visionaries. The Crosstrek has been thoroughly redesigned for the 2018 model year and as before, it squeezes itself in the subcompact SUV segment by its size, powertrain and price. However, unlike its rivals that are based on subcompact cars, the Subaru has the advantage of offering a compact-sized cockpit. It’s particularly noticeable for rear-seat occupants, who benefit from more leg, shoulder and hip room than the majority of its rivals. As for cargo space, the 2018 Subaru Crosstrek is rated at 588 litres with the rear seats in place, down a little compared to the previous-generation model. However, by folding down the seatbacks, maximum space expands to 1565 litres, beaten only by the Honda HR-V and the Nissan Qashqai. 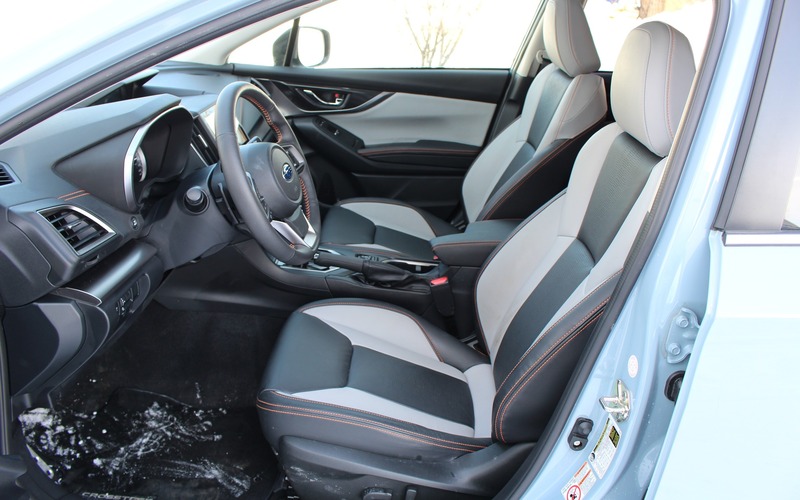 Our loaded Crosstrek Limited’s cockpit was dressed up in an interesting two-tone, white and gray leather upholstery with orange contrast stitching—the latter also spruces up the dashboard and door panels. The overall design isn’t too risky, fit and finish is quite good, and finally, the upper dash information display is more modern and colourful. Subaru’s infotainment system isn’t the slickest on the market, but its recent redesign has brought it up to speed with many features, including Apple CarPlay and Android Auto. The screen is reactive to finger poking, although its glossy finish washes out in direct sunlight. Every 2018 Subaru Crosstrek features a 2.0-litre four-cylinder engine that develops 152 horsepower and 145 pound-feet of torque, connected to either a six-speed manual or a continuously variable automatic. Output is about average for the vehicle segment, and the Subaru is one of the rare models that can had with a manual gearbox pretty much throughout its trim level lineup. The Crosstrek also benefits from six gears, while the Impreza also offers a five-speed unit, which is something to consider for those who prefer to row through their own cogs. It’s not a slouch, but the Subaru isn’t a rocket, either. It’ll merge in highway traffic just fine, and while the automatic transmission doesn’t make the car any more fun to drive, it helps achieve low fuel consumption numbers. During our winter test, we averaged 8.8 L/100 km, which isn’t bad at all given its all-wheel drivetrain and road conditions. Subaru even gave its Crosstrek a 680-kg (1500-lb.) tow rating. 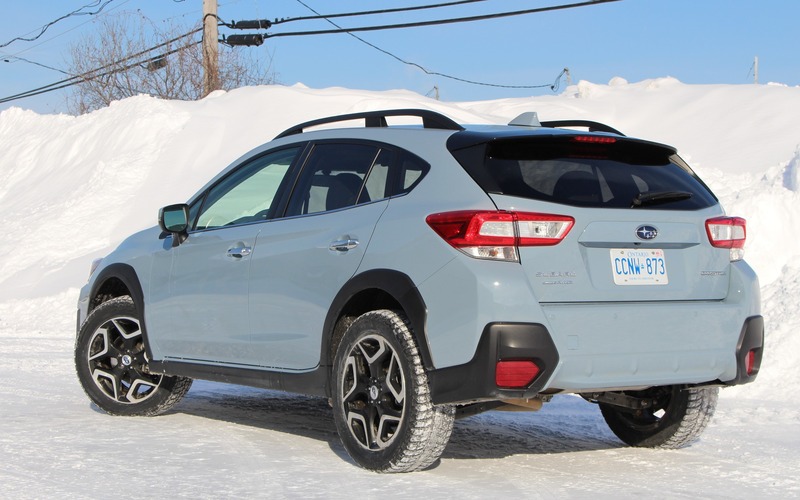 Speaking of AWD, the Crosstrek boasts one of the most competent setups to confront our harsh Canadian snow season. The full-time system clamps down its four wheels and bites into slippery surfaces with poise. In summertime, though, the Crosstrek loses a big part of its superiority over the competition, but at least Subaru figured out how to keep fuel economy high. As a matter of fact, this model is one of the most efficient subcompact crossovers sold in Canada. It can also hit the trails without too much worry, thanks to its ground clearance—one of the highest in its class—and the X-Mode system, which helps control wheelspin over rough or risky surfaces. Obviously, very few SUV owners actually go off-roading, but it’s good to know that the Crossktrek can handle it. It’s no surprise that we see so many of these vehicles with bicycle racks and kayaks on their roofs, because it’s a good companion for those who enjoy an active outdoor lifestyle. Pricing starts at $23,695 before freight and delivery charges, while a nicely equipped Crosstrek Sport with an automatic transmission and Subaru’s excellent EyeSight advanced safety suite retails for just over $30K. For that price, we get heated front seats, a power sunroof and blind spot monitoring, but sadly, a heated steering wheel is only available on the Limited trim levels—the most expensive ones. There are many models to choose from in the subcompact SUV category, and many good ones, too. If surviving winter and a car-like ride are high on our list of wants and needs, the 2018 Subaru Crosstrek will serve us well. Its drive could use a little more refinement and its cabin could be better insulated from road noise, but overall, it’s a significant improvement over the previous-generation Crosstrek. 8/10	Among the best in its segment. 8/10	Great seats, although the Crosstrek’s ride could be a little more refined. 6/10	Nothing exciting about the engine and transmission, but they get the job done efficiently. 7/10	Lots of features and a reactive touchscreen that’s easy to use while driving. 6/10	The Crosstrek isn’t a blast to drive, but it isn’t necessarily boring either. 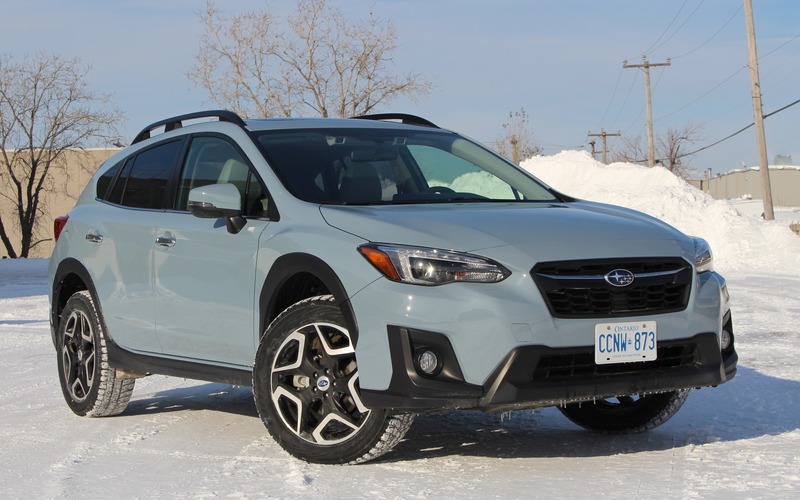 8/10	Better than the sum of its parts, the Crosstrek mixes excellent four-season capability with a rugged appearance and an affordable price tag.